Summer is definitely the time to get around and show off some lovely nails so today I would like to share with you some nail designs that I did for my friends. They all wanted summer themes each according to their own style. The first one is inspired from the fruit salad nails that I made for my Etsy store but this time I used only a blue base. (China Glaze Passion in the Pacific to be more exact). 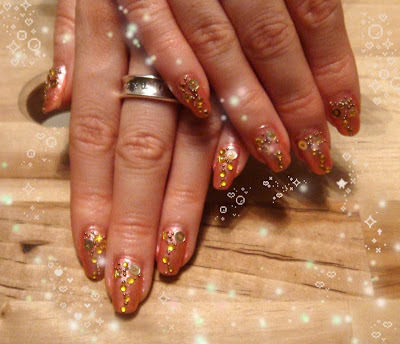 The second one one is inspired from the these pink glam japanese style nails and my friend wanted an exact copy. I used China Glaze Exceptionally Gifted for this one. And the third one, in a combination of colours perfect for the Greek summer. 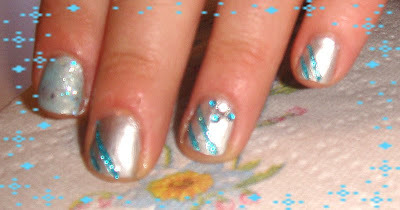 Erre Due silver with some teal glitter and rhinestones. I really like the first one! 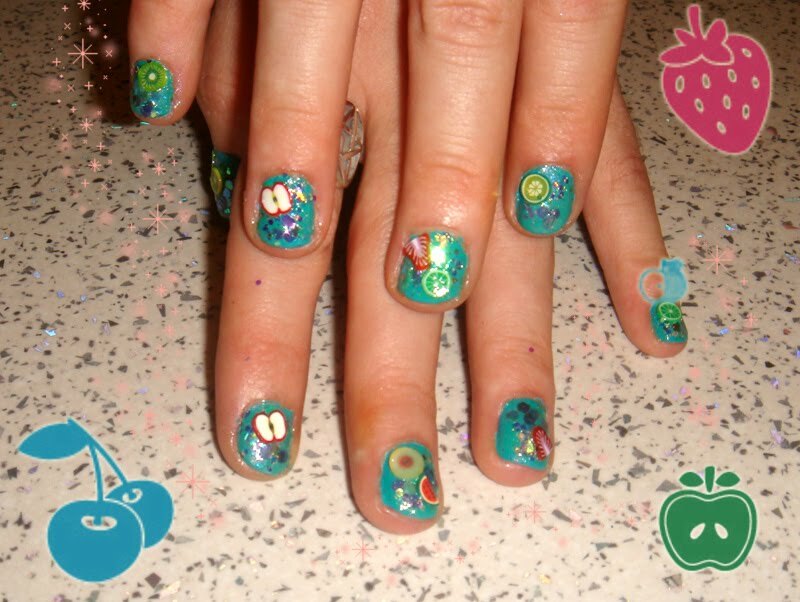 it is so funny and remembers me some beachy coktails! @Alice grazie :) Yes, you are right, they do look like summer cocktails.